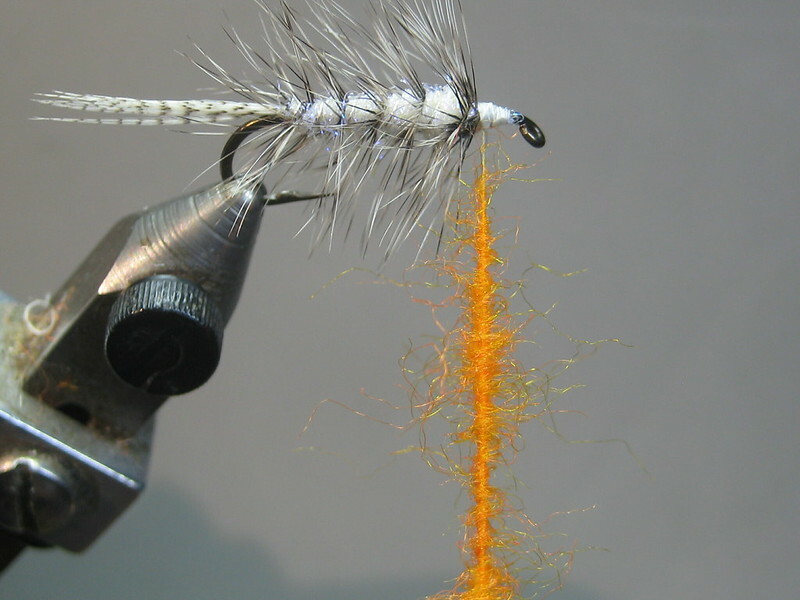 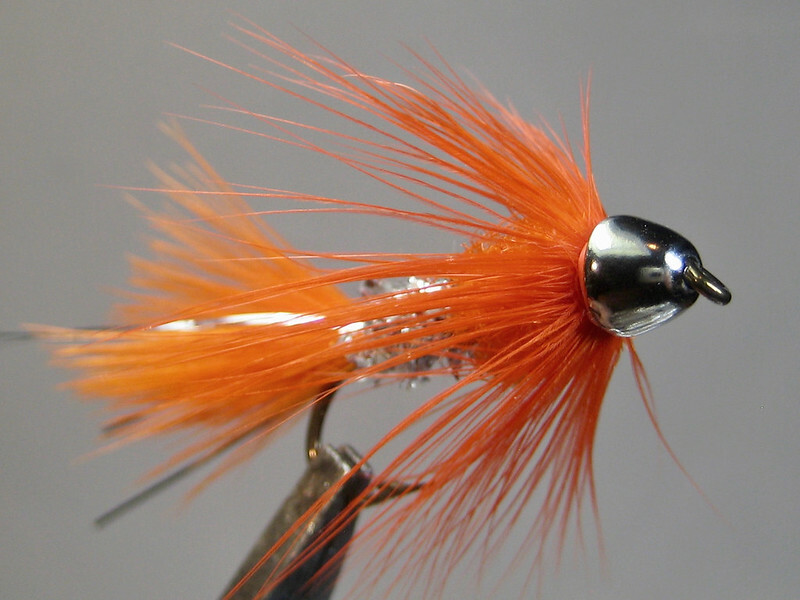 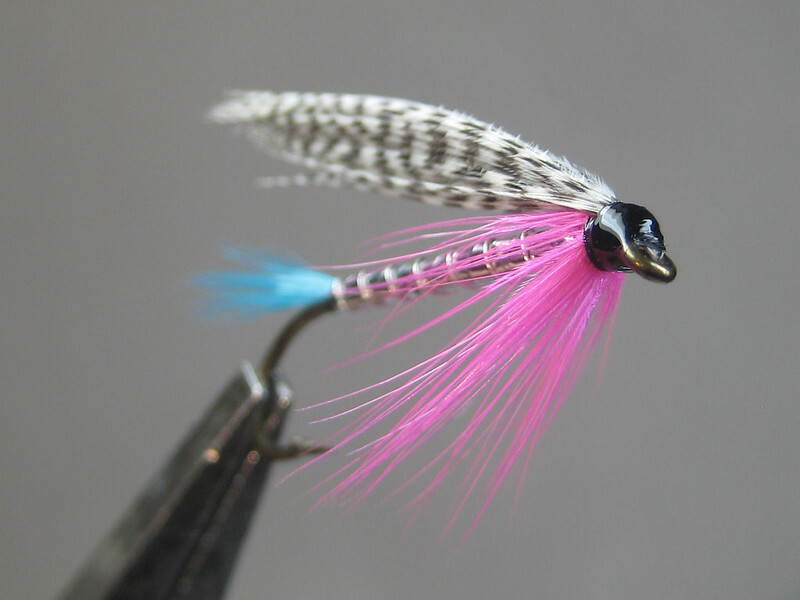 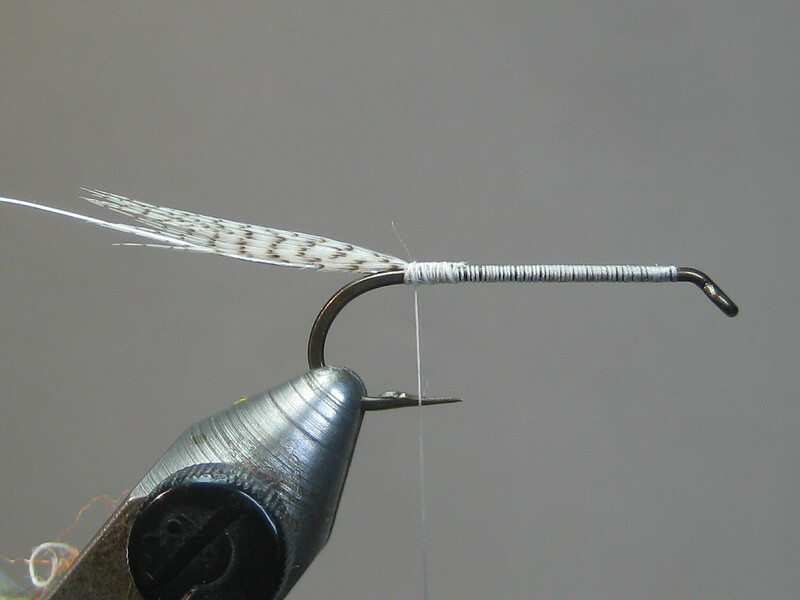 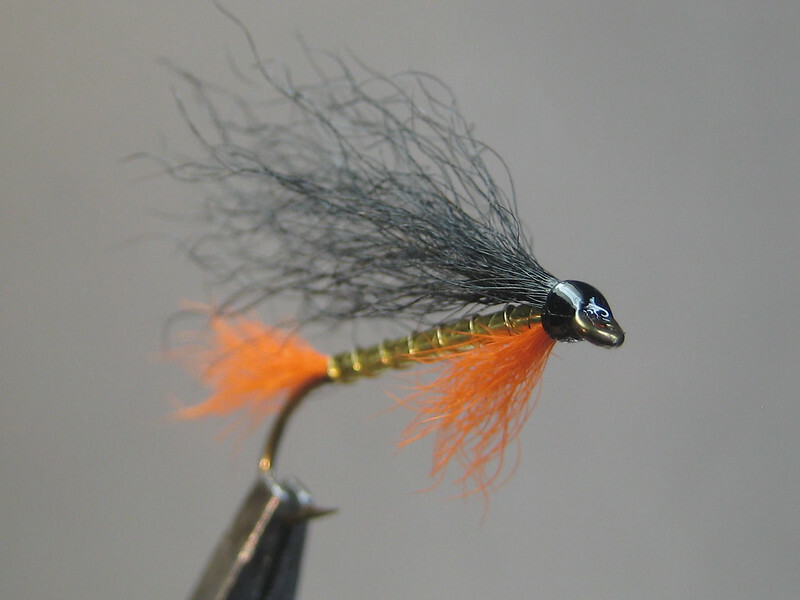 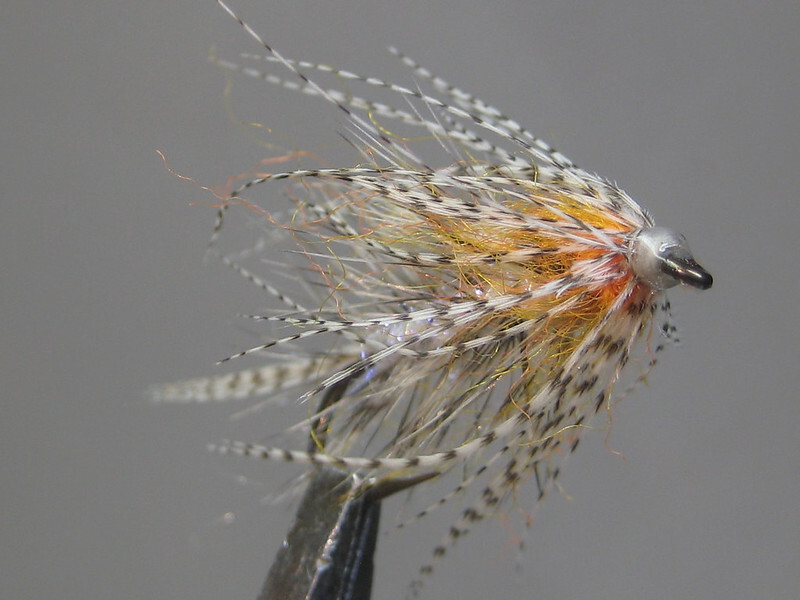 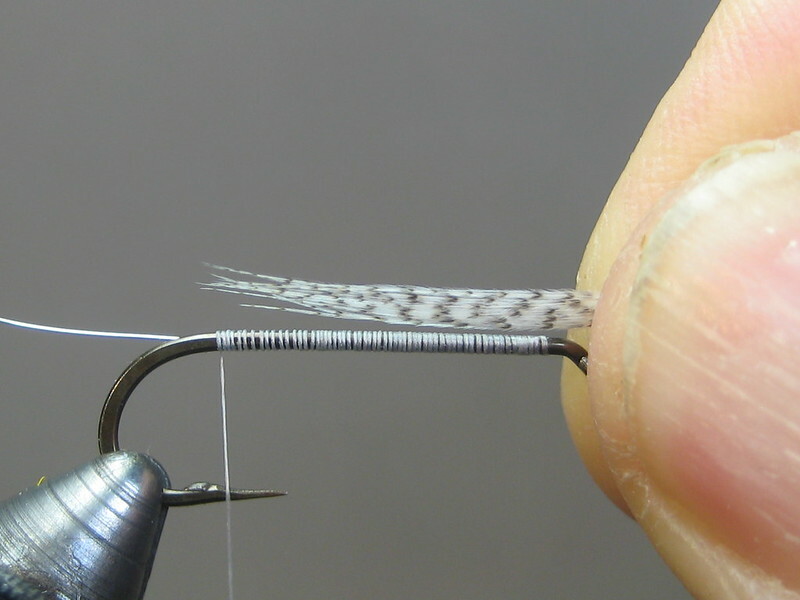 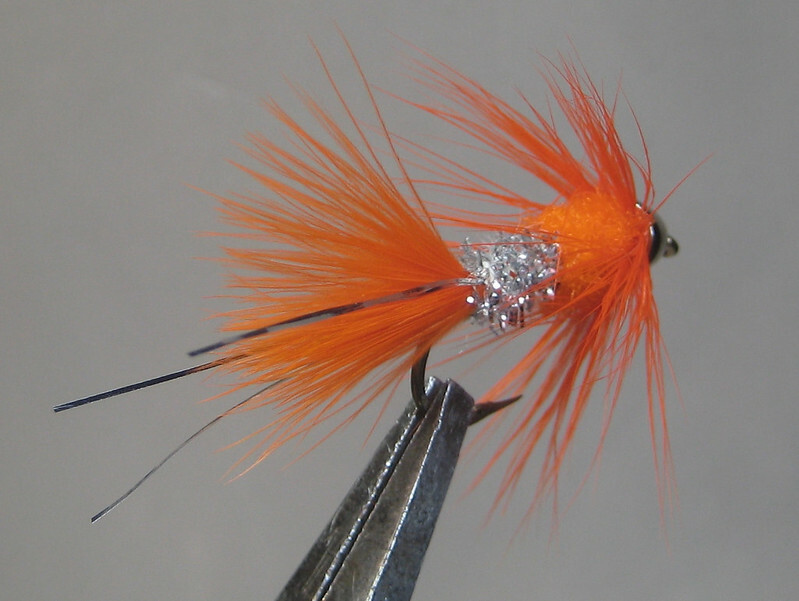 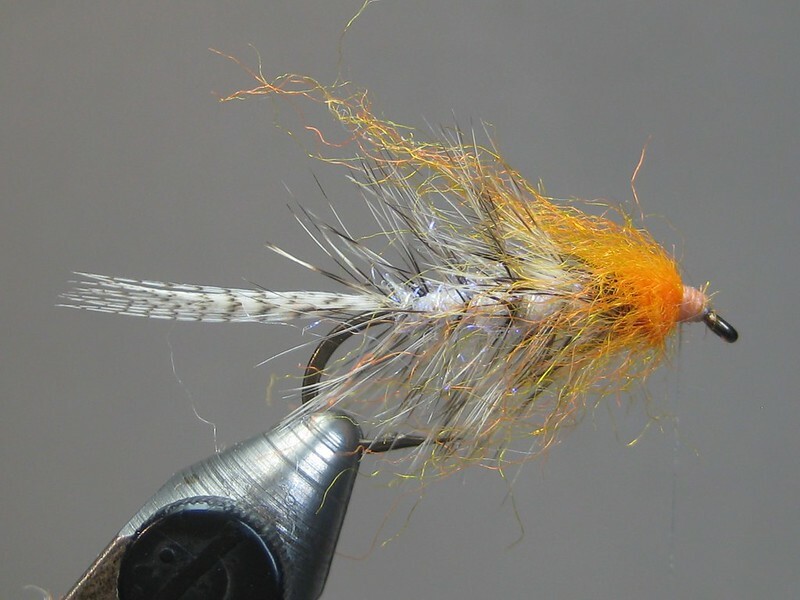 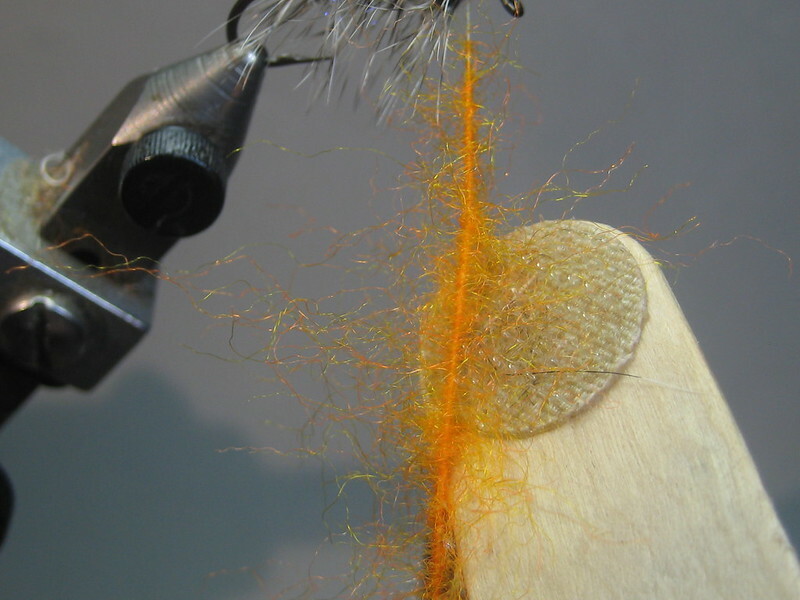 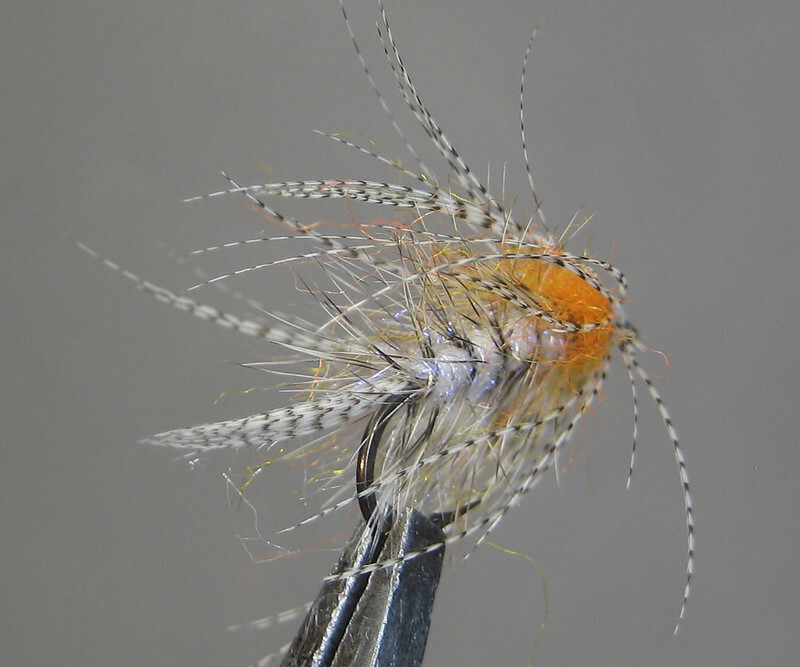 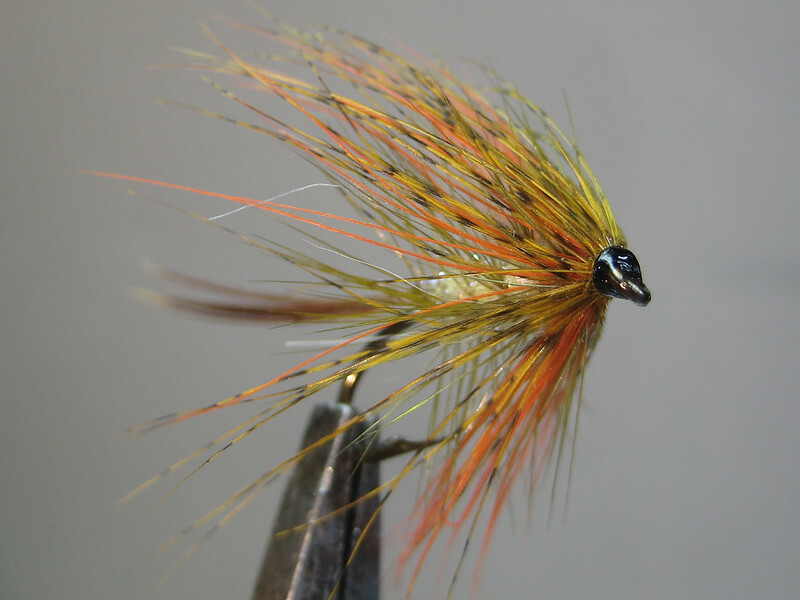 A Danish seatrout fly of unknown origin. 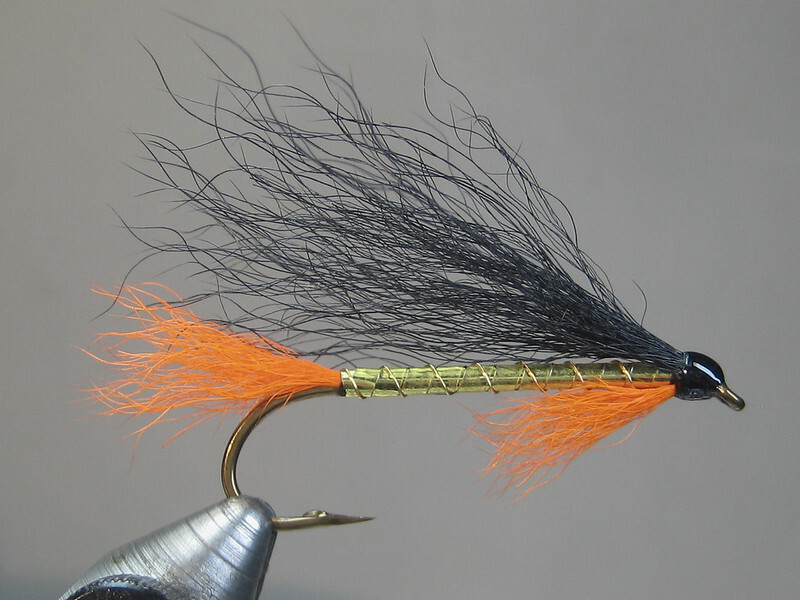 Use your favorite barred waterfowl flank for the tail/collar; I went with redhead, which proved to be just as unruly as mallard. 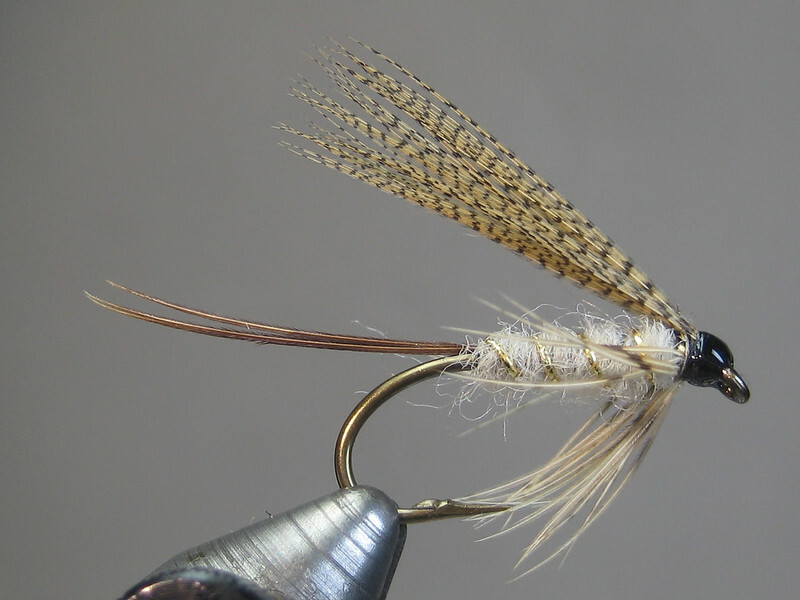 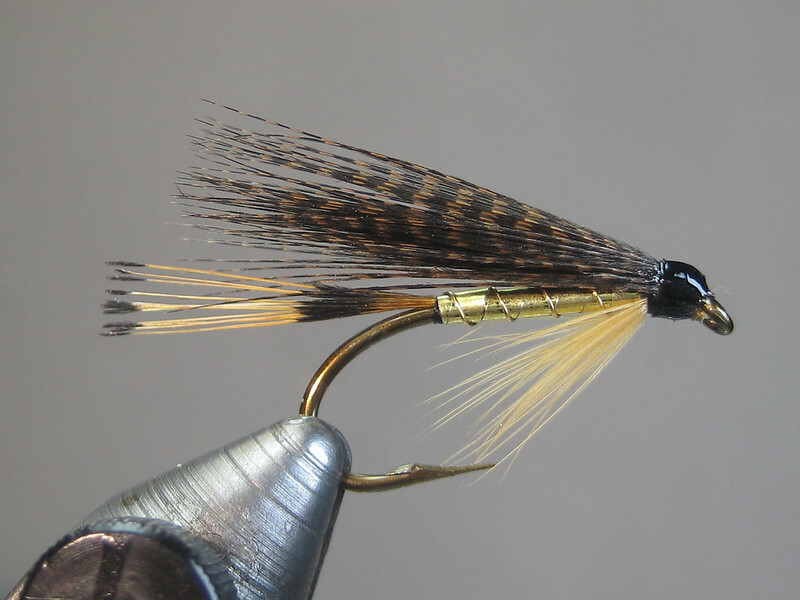 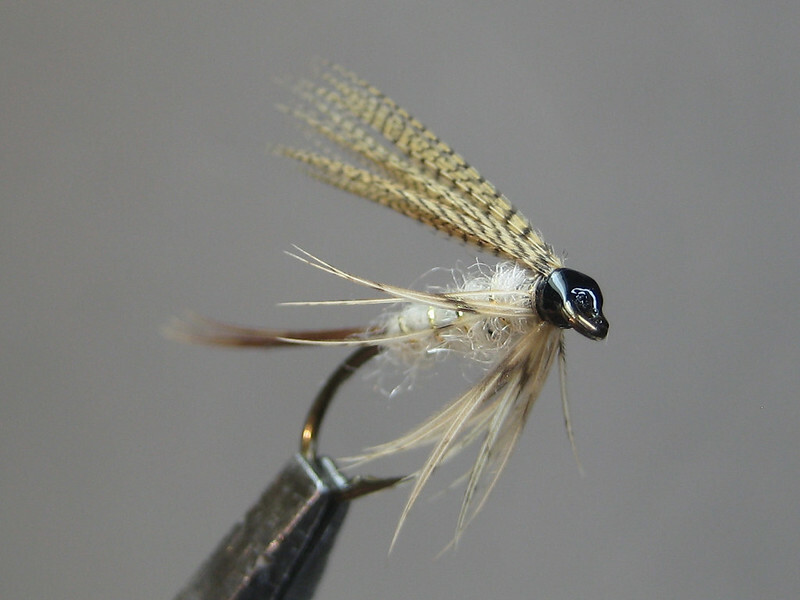 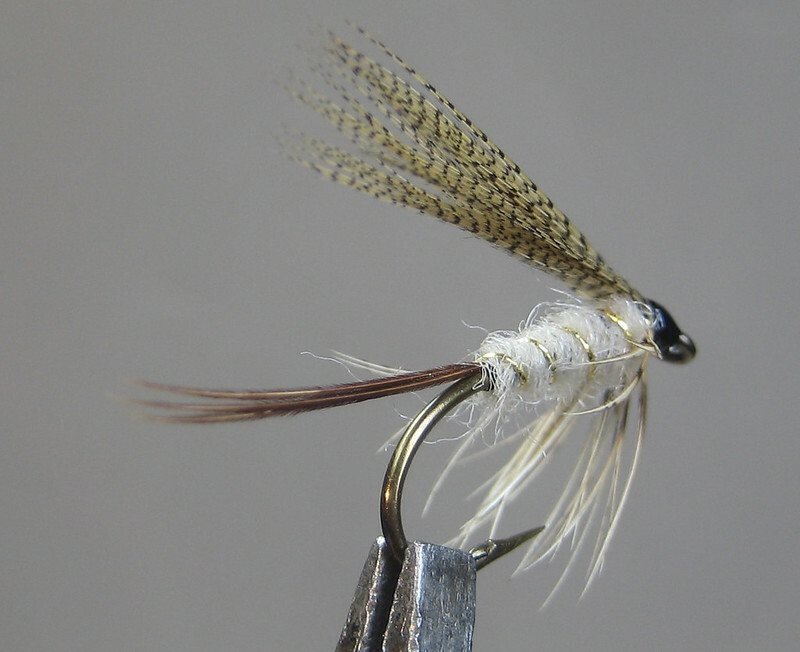 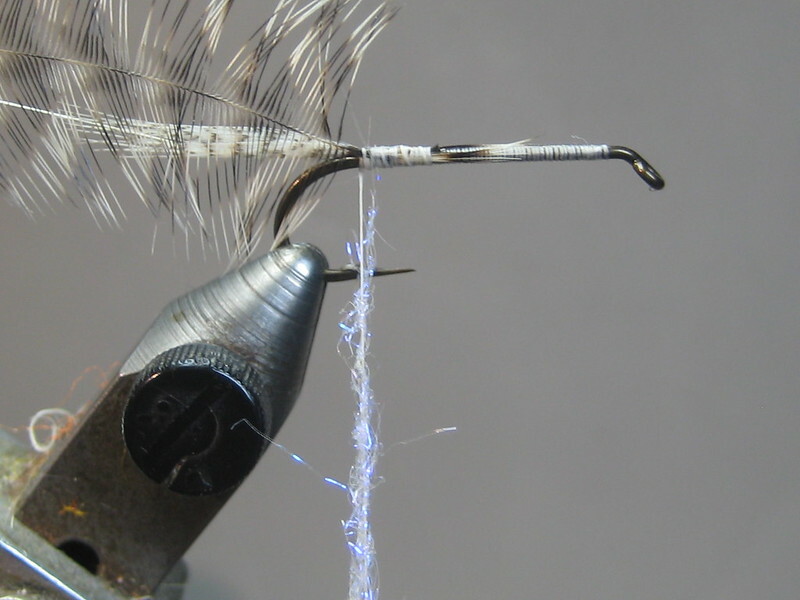 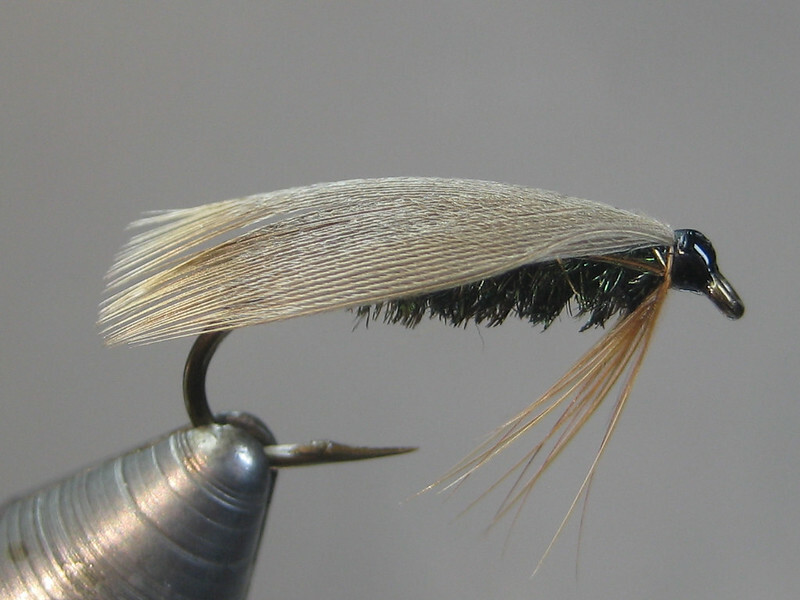 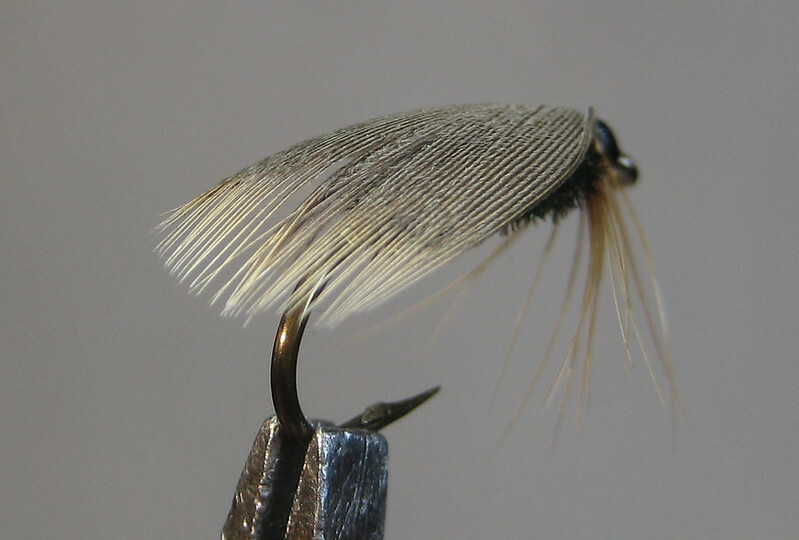 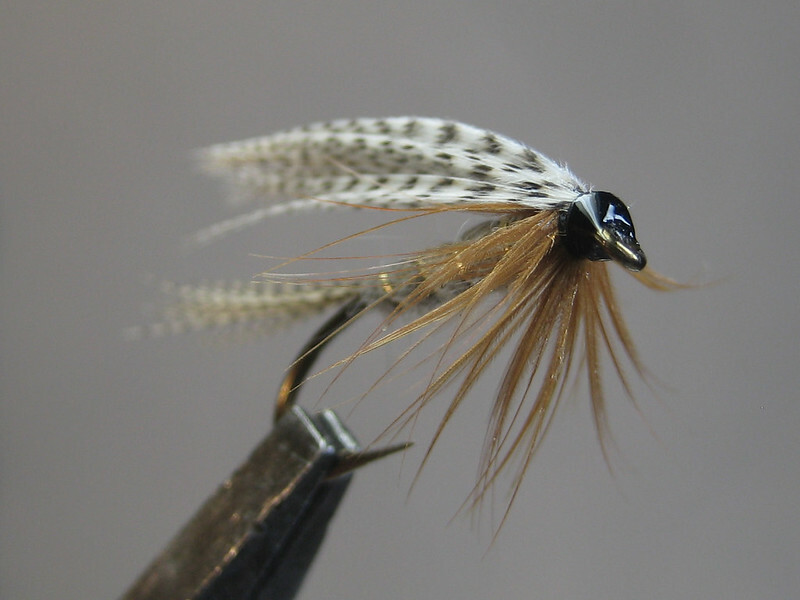 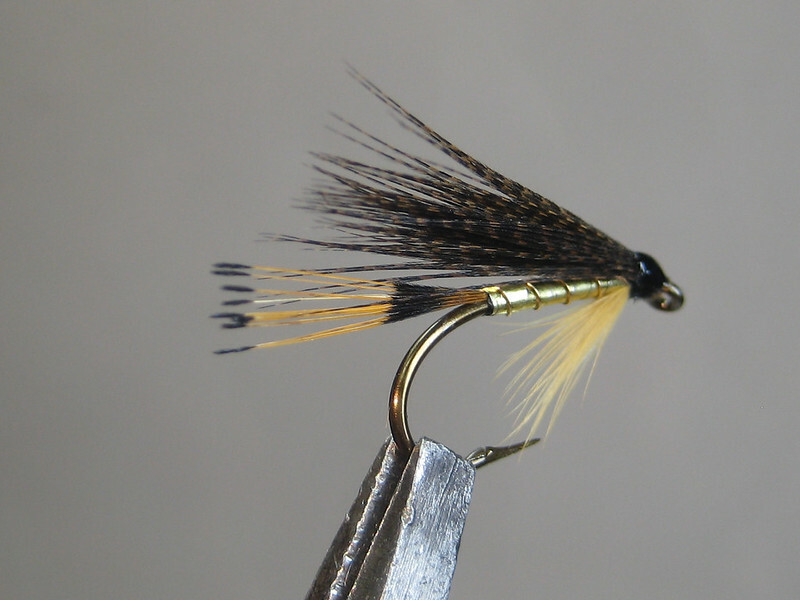 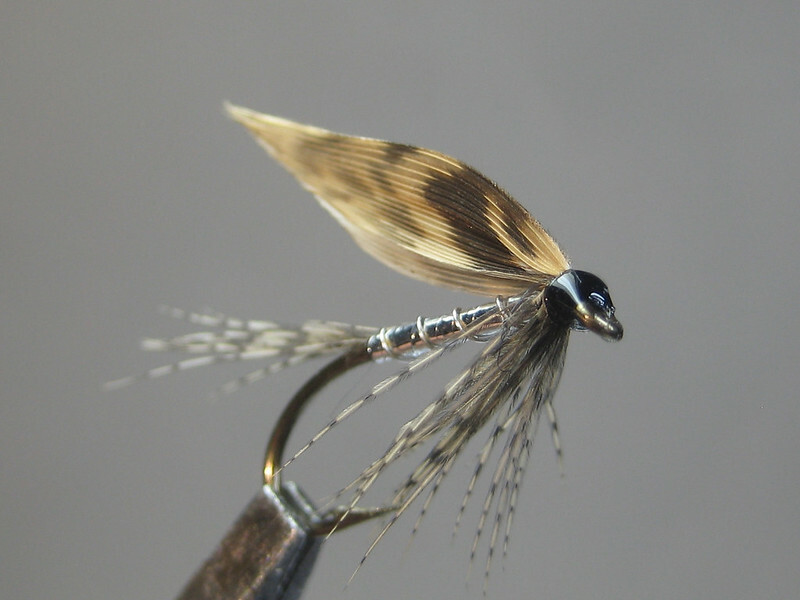 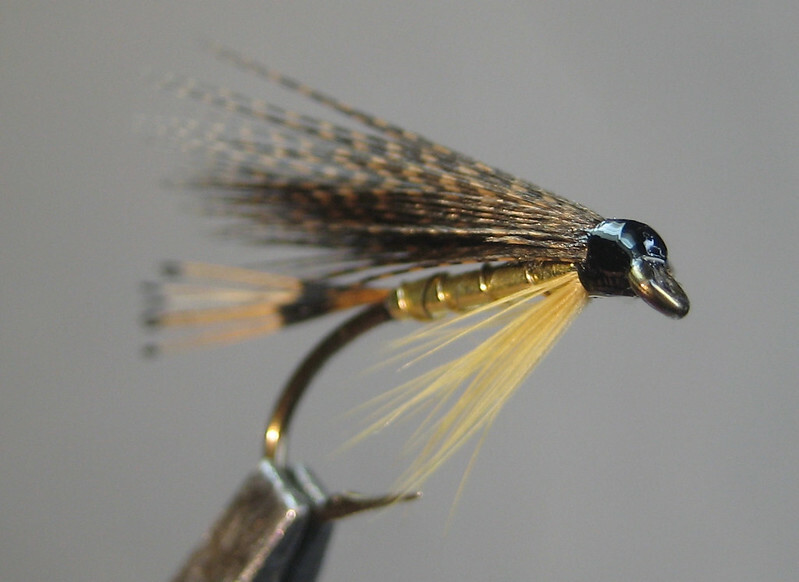 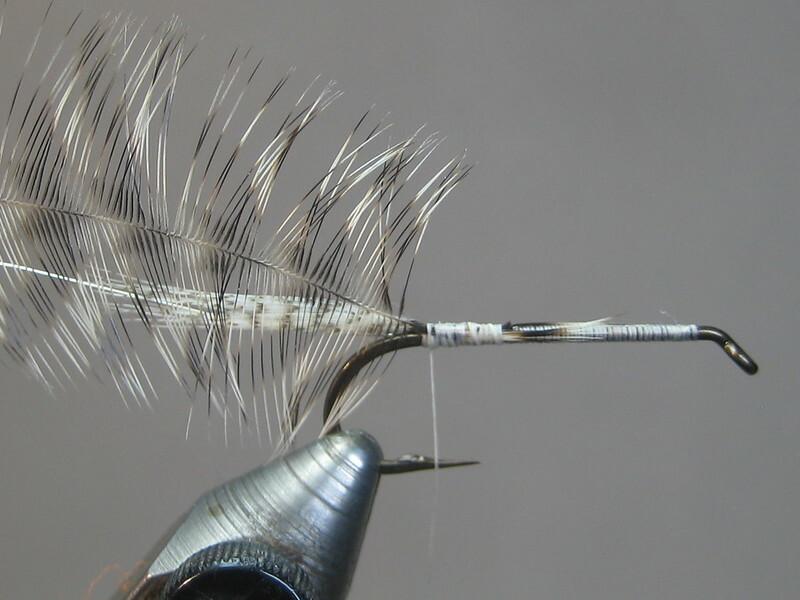 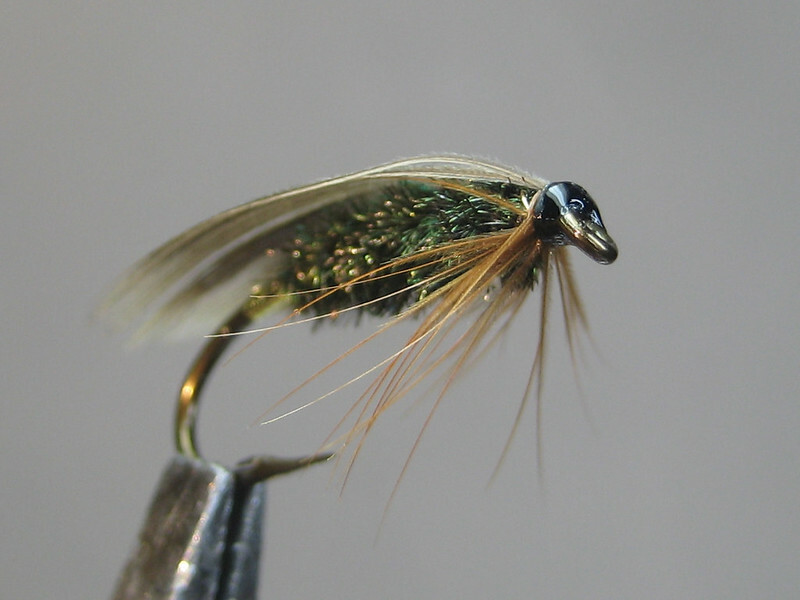 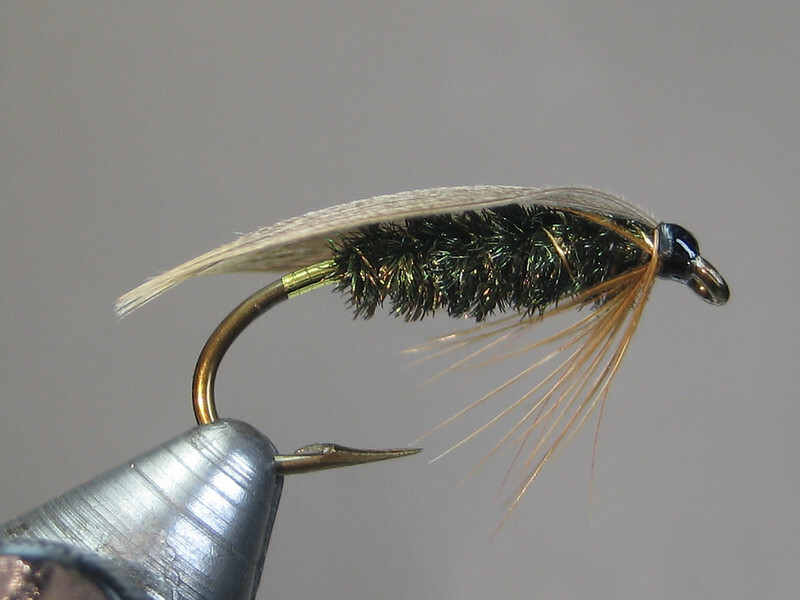 A gold version works, too..
Stevie Munn's Gosling-style Irish lough fly. 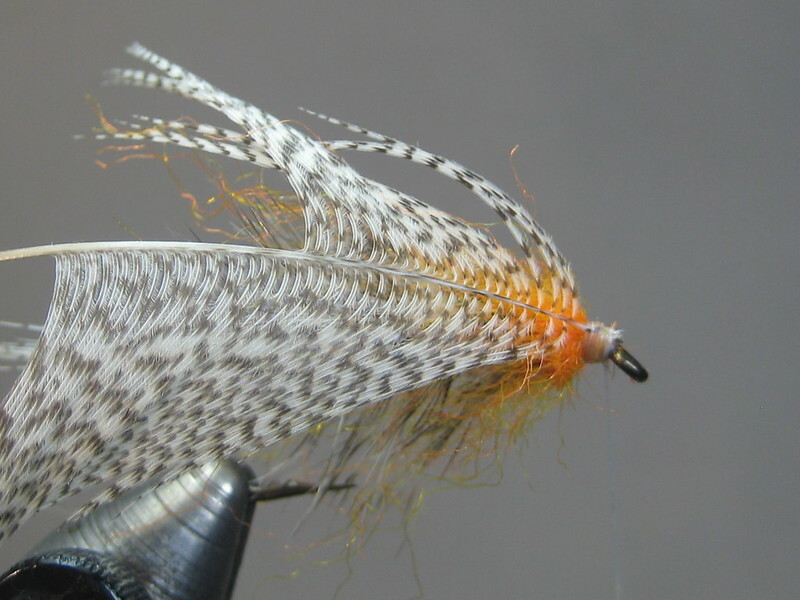 An Icelandic Arctic char pattern. 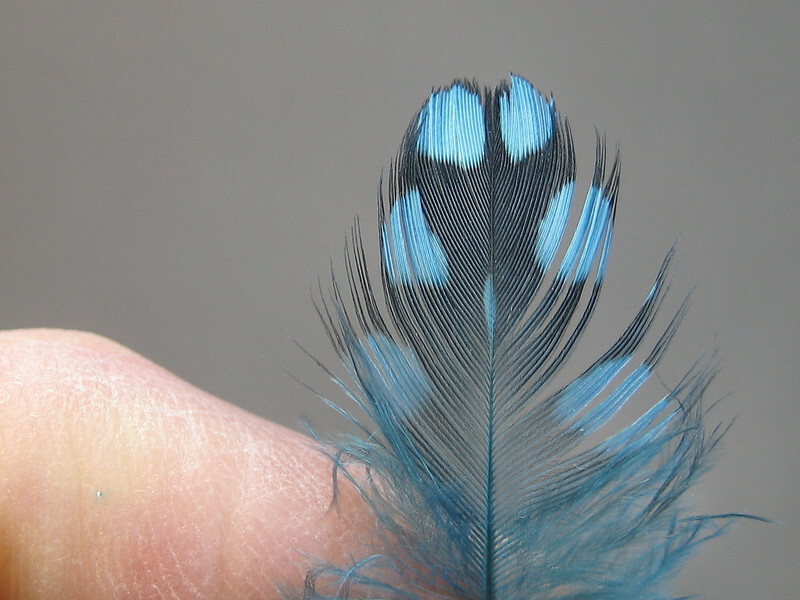 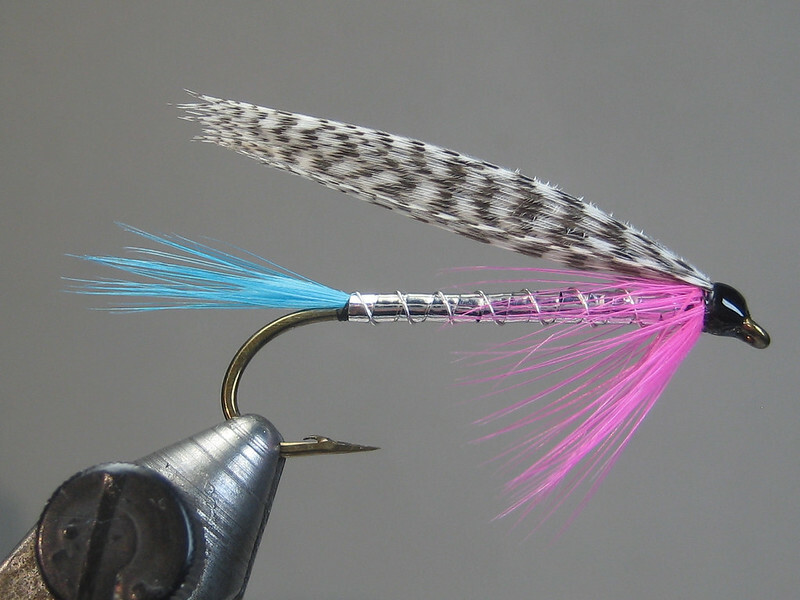 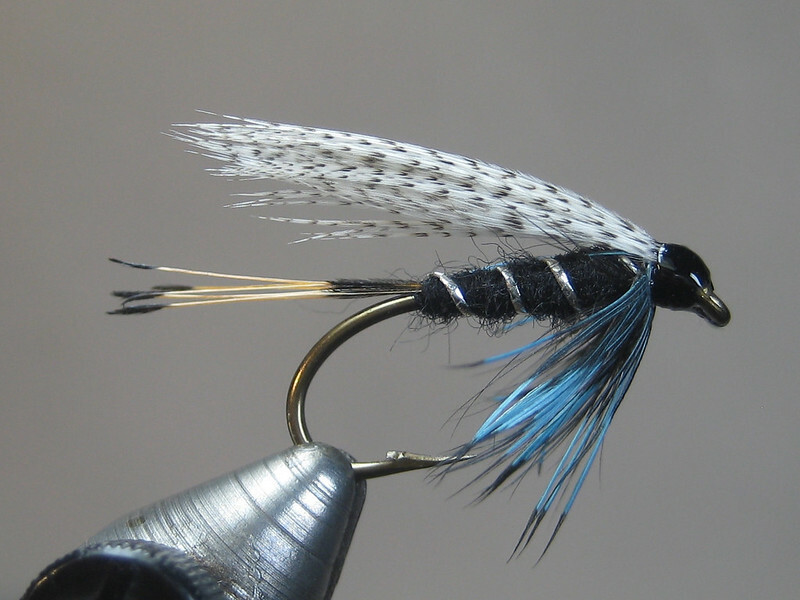 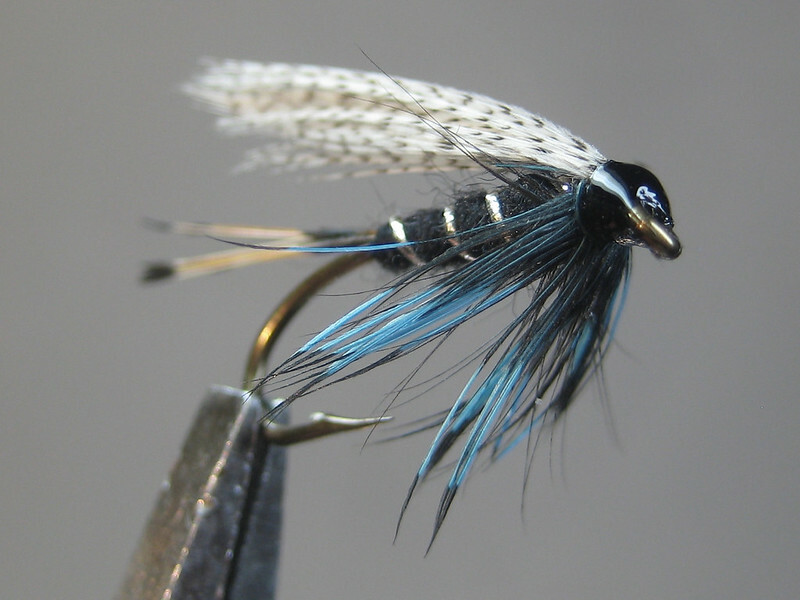 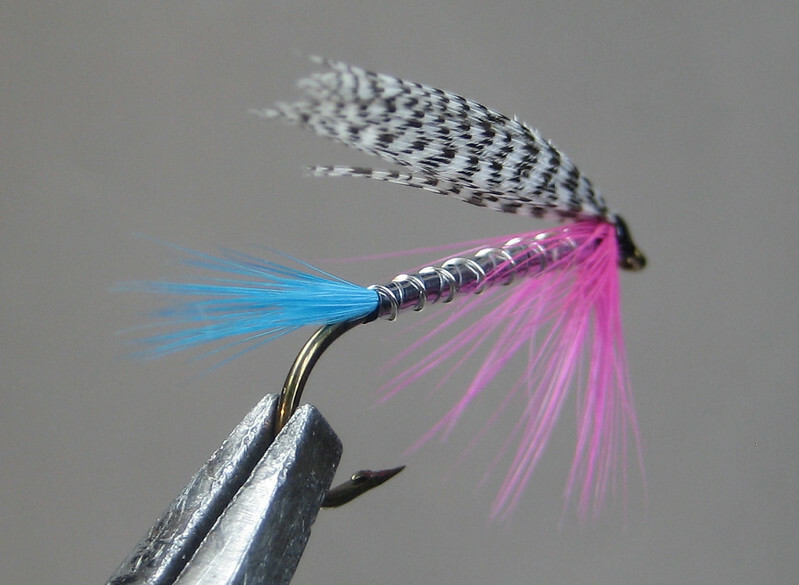 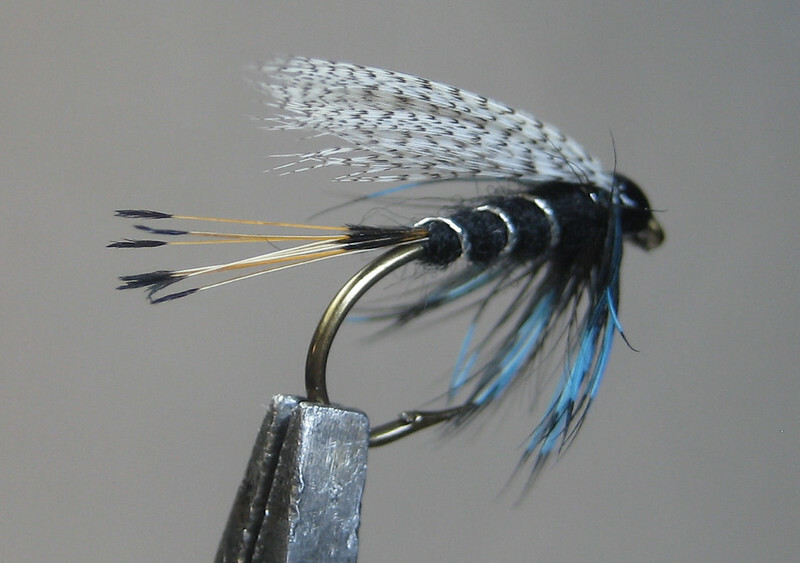 Subbed some webby redhead flank for the wing (original used teal). 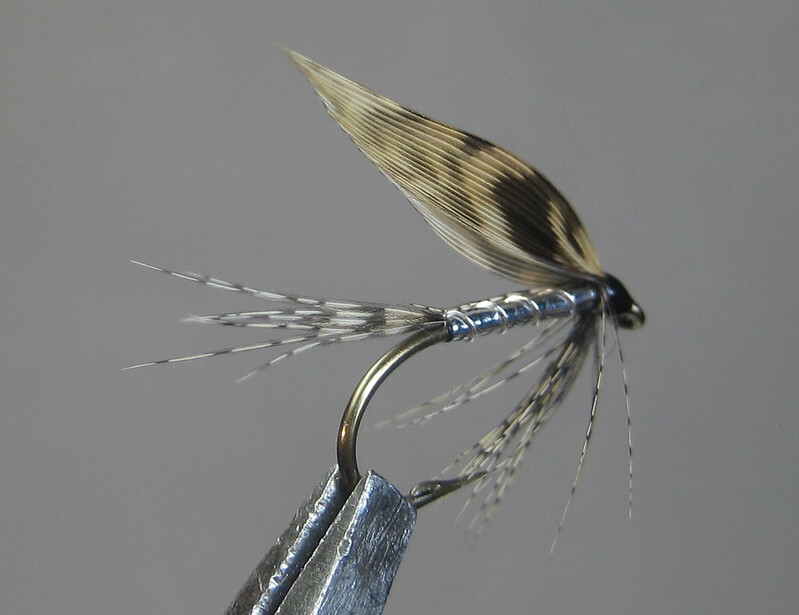 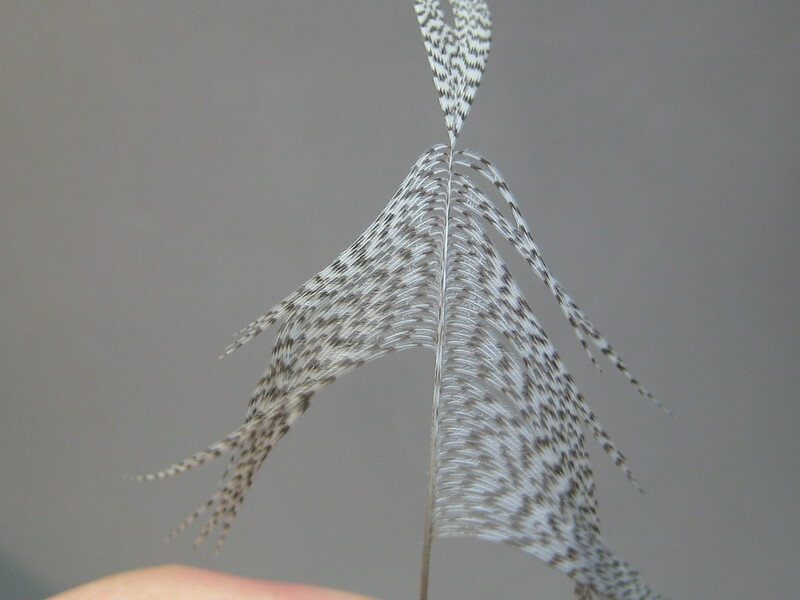 Variation on a standard wet, using the Stayner Ducktail-style wing. 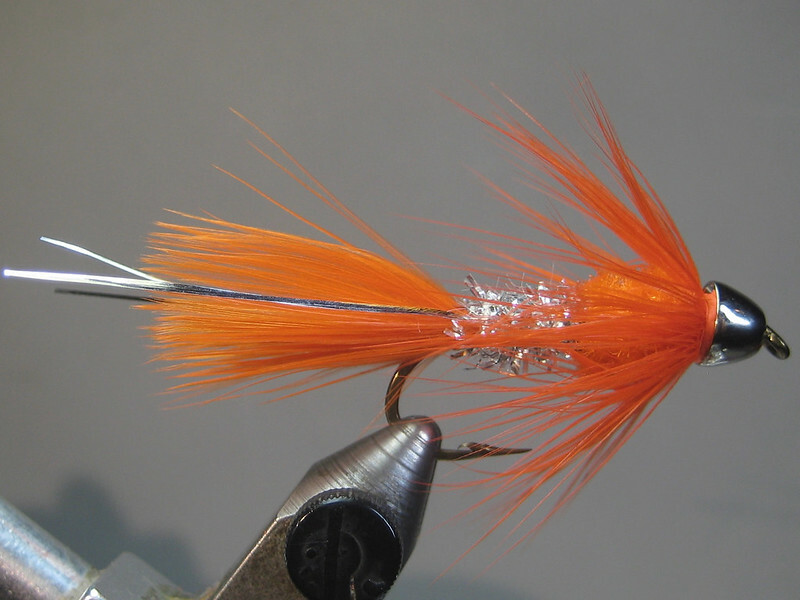 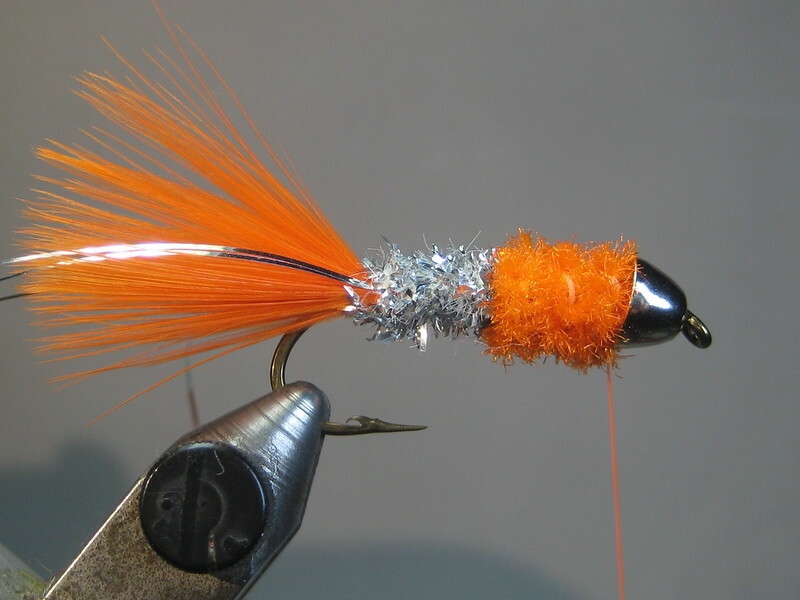 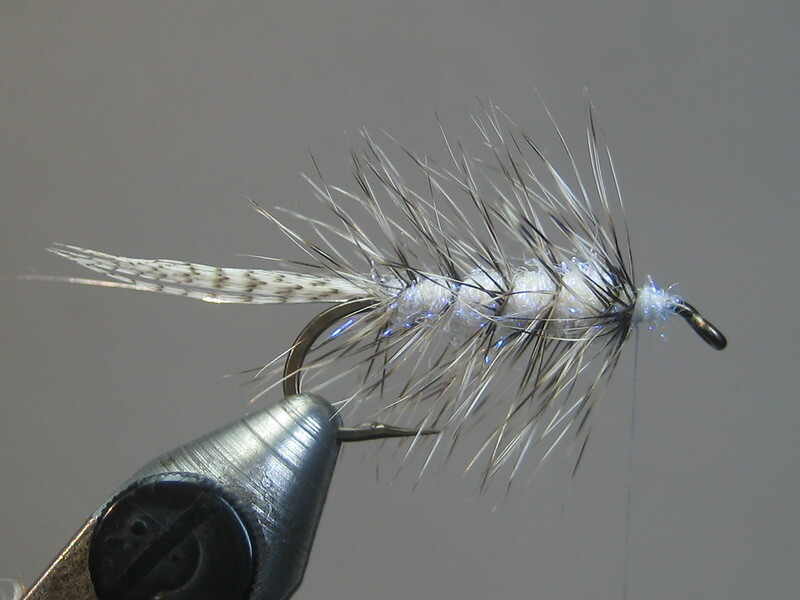 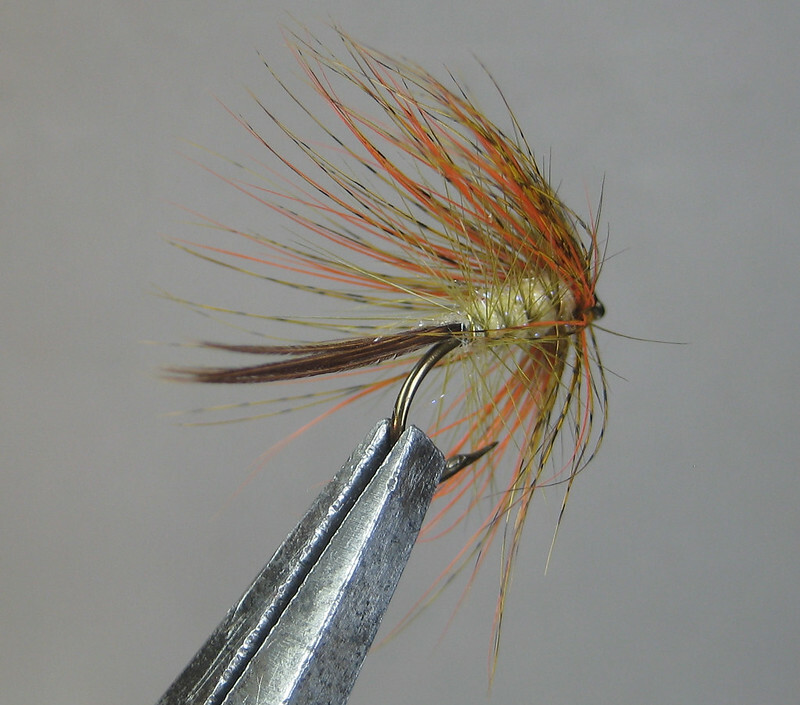 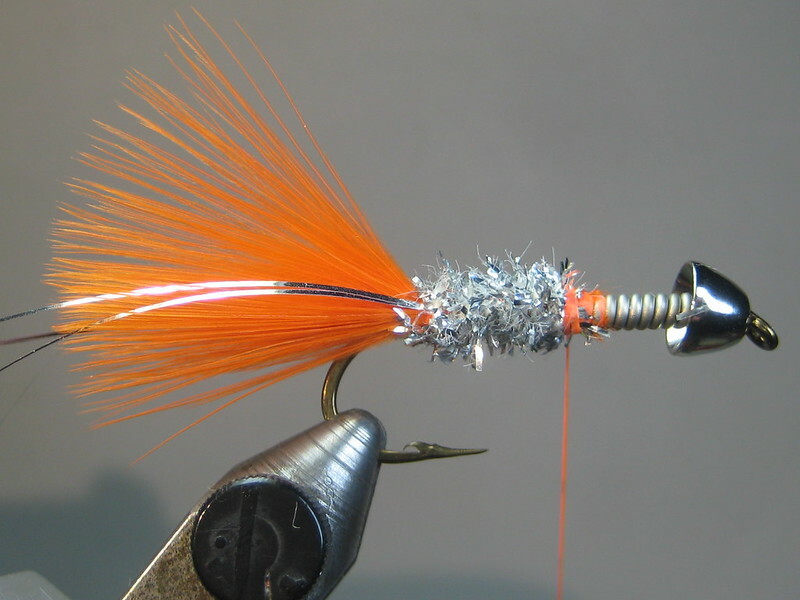 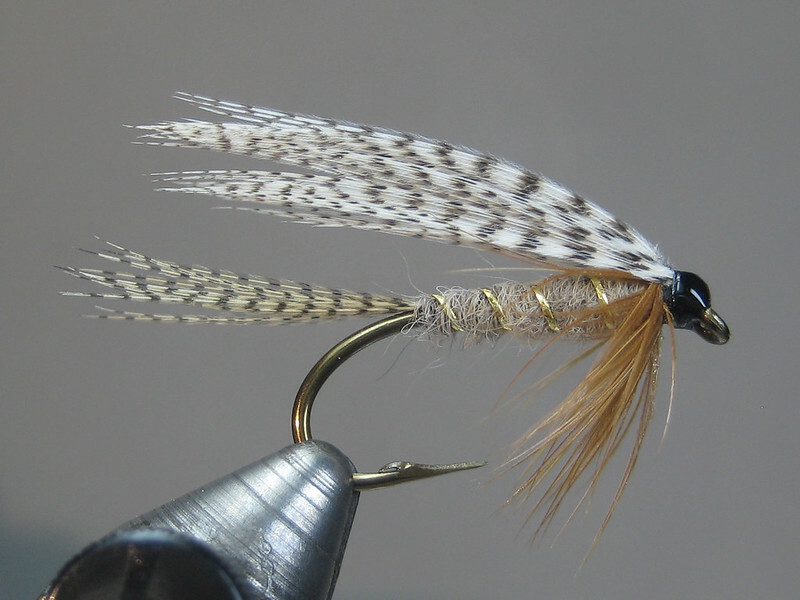 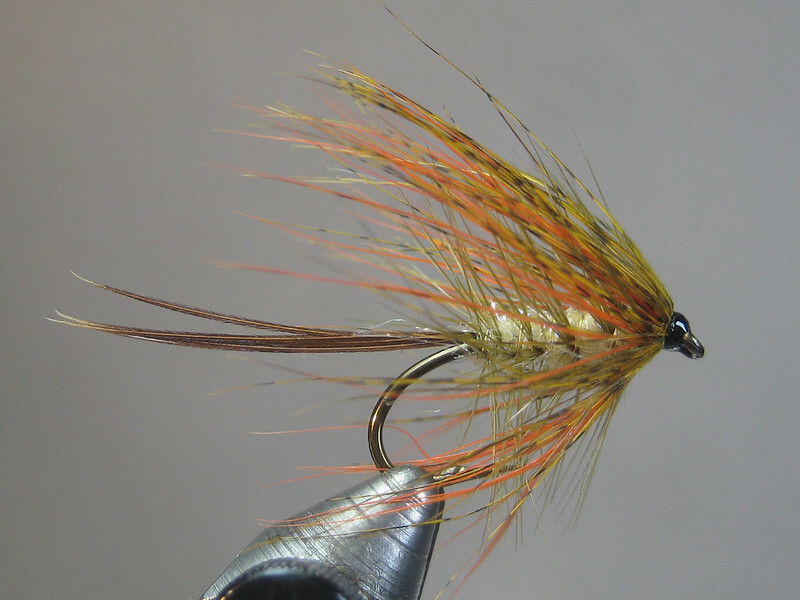 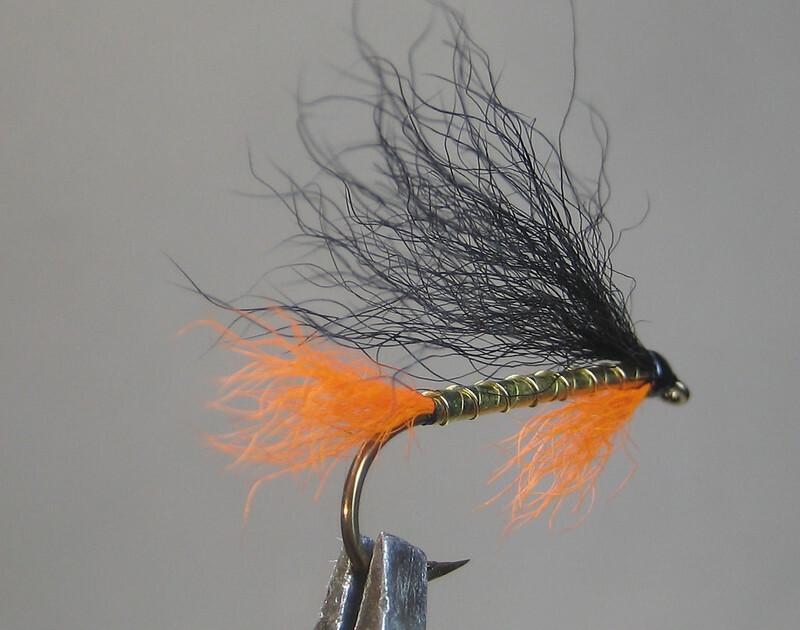 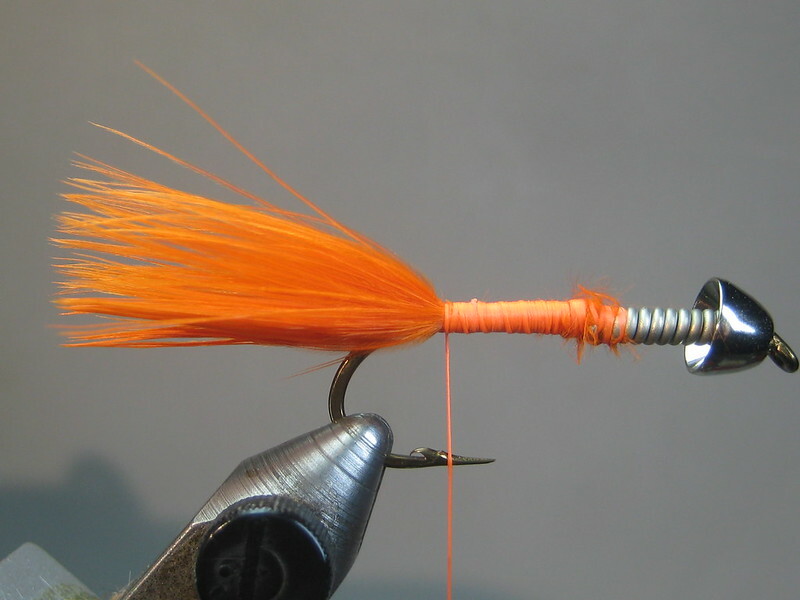 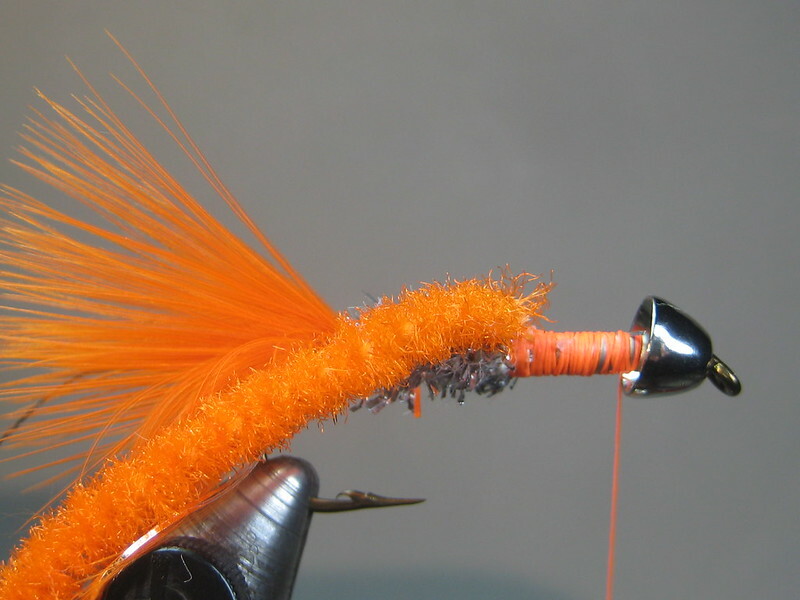 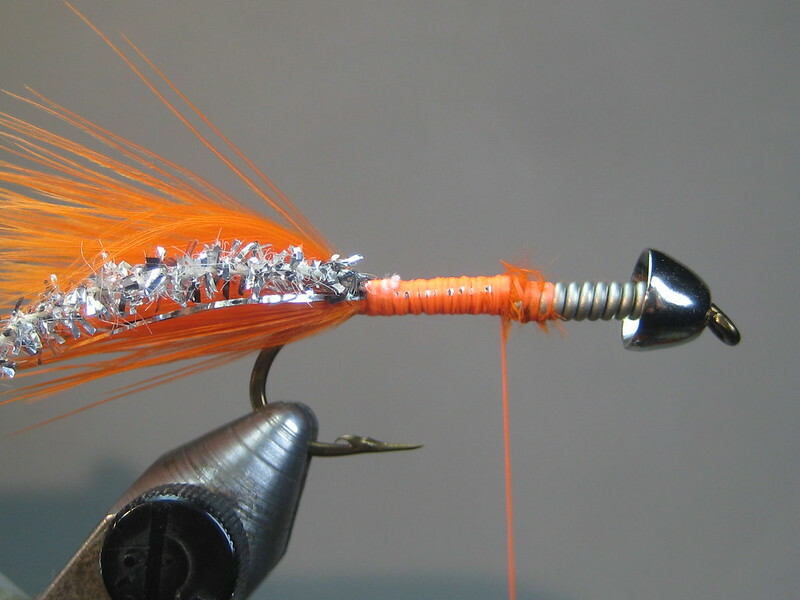 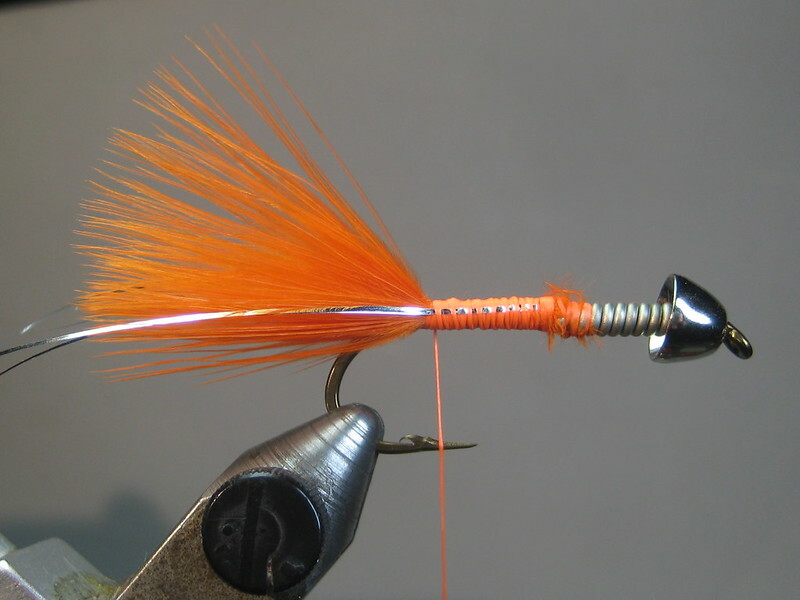 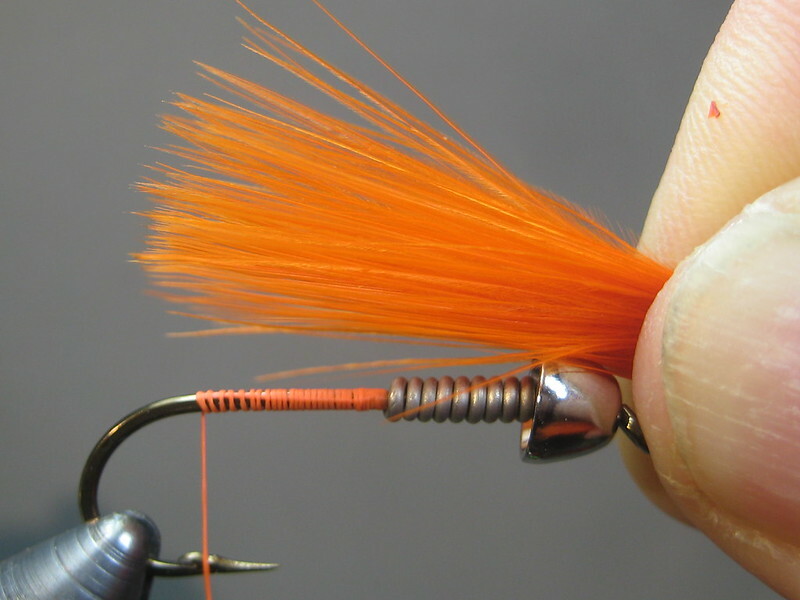 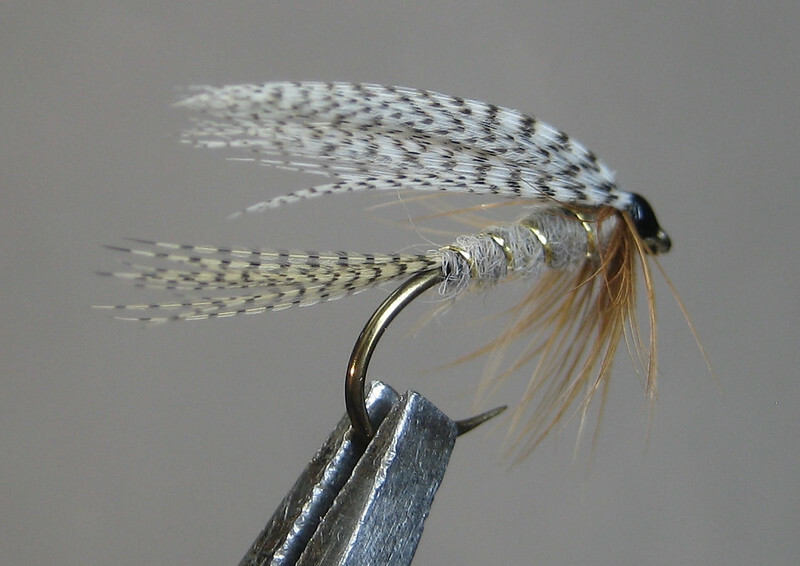 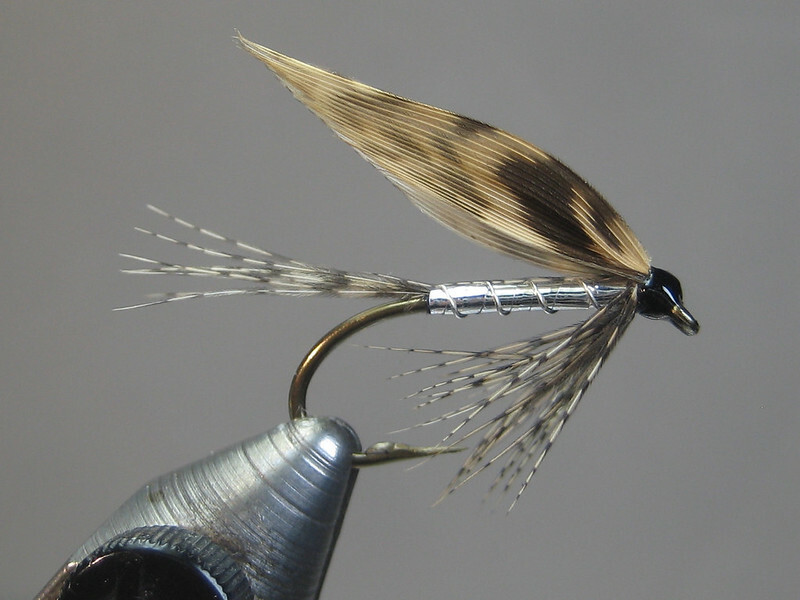 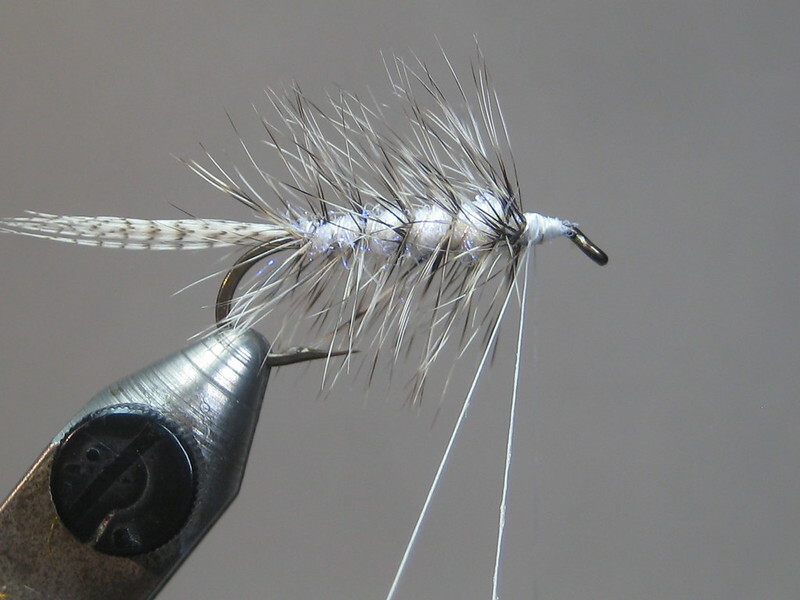 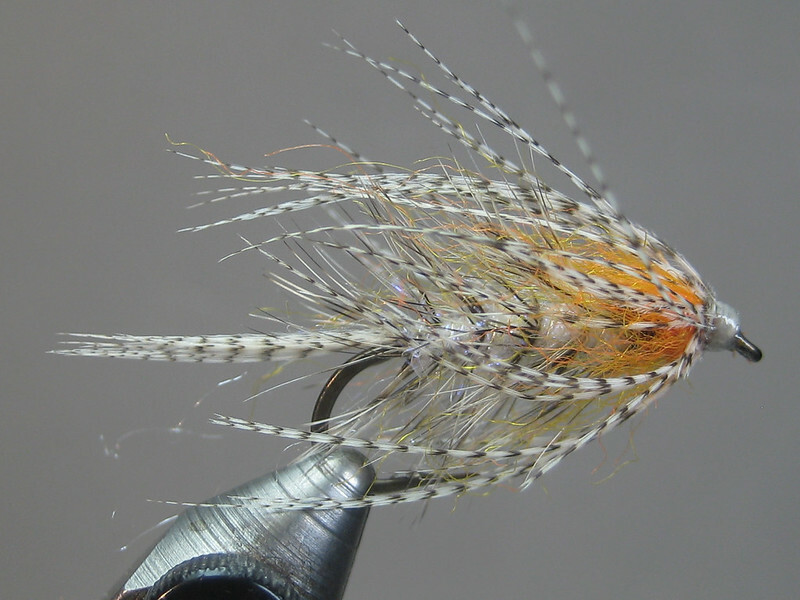 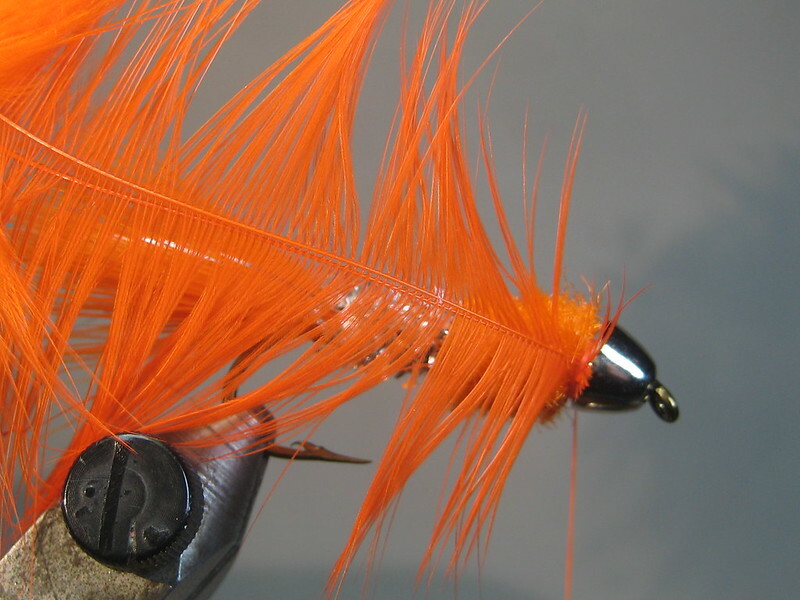 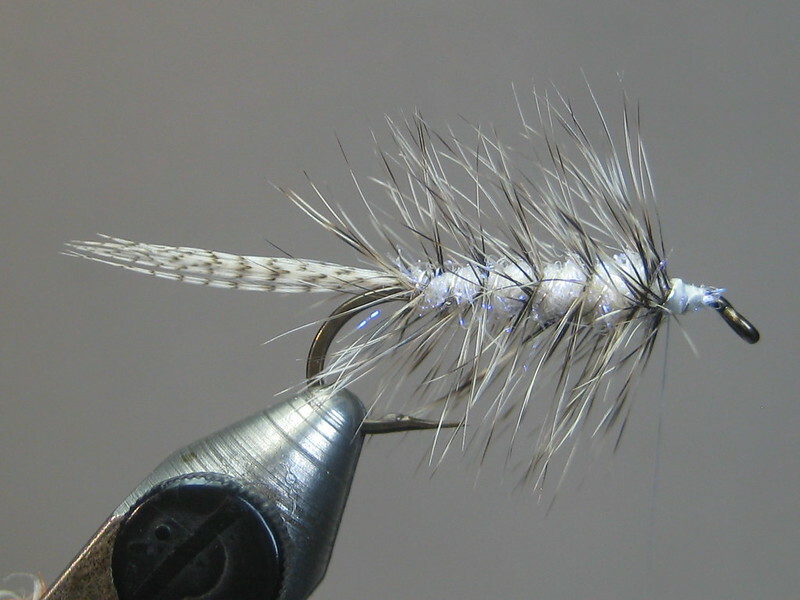 A different look than married duck quill segments (a lot easier to tie, too) and gives me a chance to put a hen redhead skin to good use. 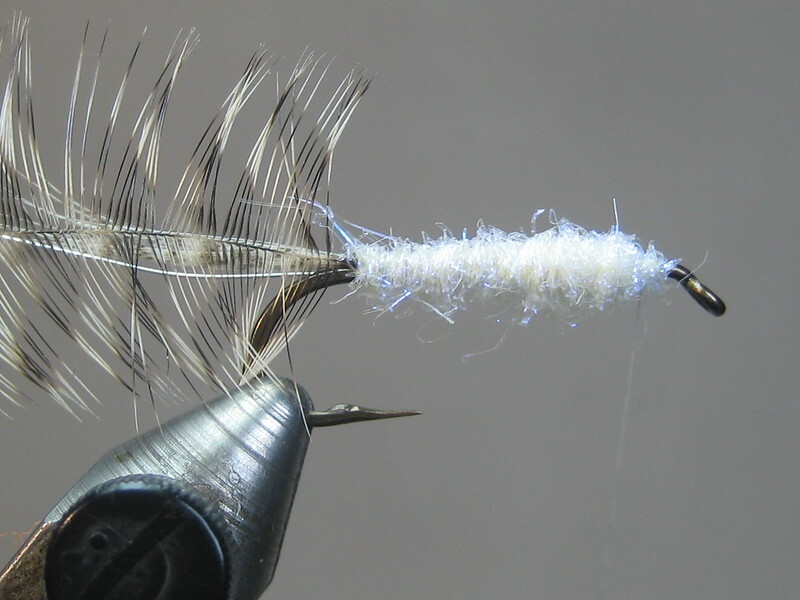 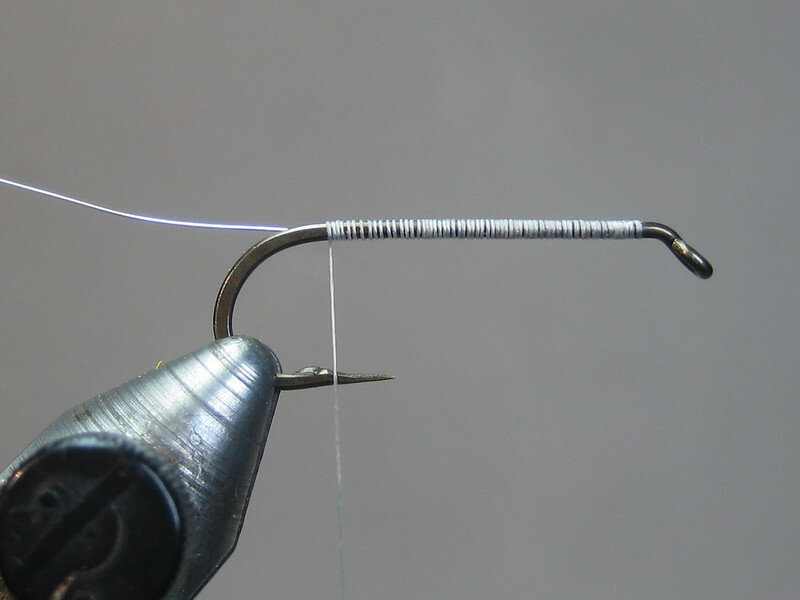 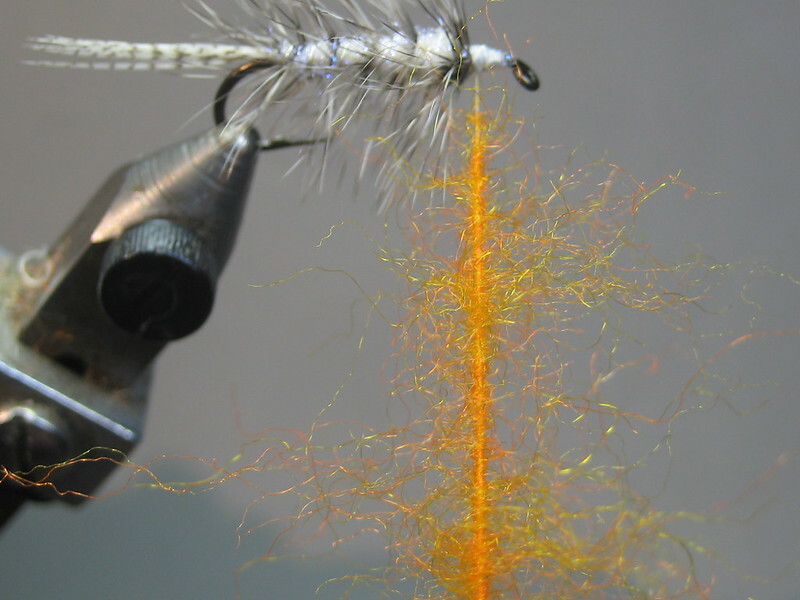 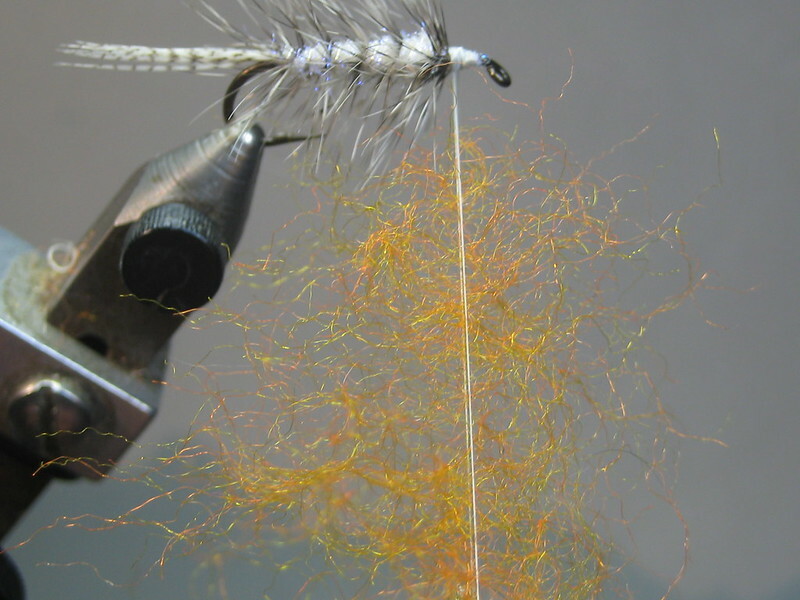 An Icelandic seatrout fly; kjöt á krókur. 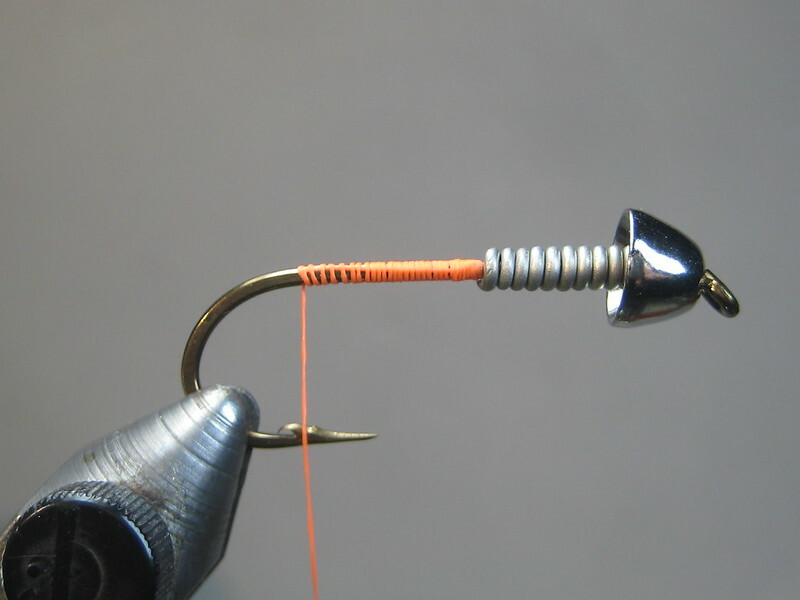 Putting the DIY jay to use.